The FBI’s newest addition to the Ten Most Wanted Fugitives list is Eric Matthew Frein, who is the lone suspect in the delay ambush of two Pennsylvania state troopers, the Huffington Post reports. The FBI said it’s not messing around. “When law enforcement officers are violently targeted, we take it seriously — and personally,” Edward J. Hanko, special agent in charge of the FBI’s Philadelphia Division, said Thursday in a press release. The ambush of Alex Douglass and Byron Dickson happened at 10:50 p.m. during a shift change. Dickson was killed, and Douglass remains hospitalized. The 31-year-old suspect was charged Tuesday with homicide of a law enforcement officer. 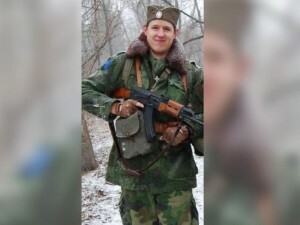 Authorities warned that Frein is a weapons enthusiast and survivalist. “All of law-enforcement is committed to apprehending Frein, and we are dedicated to making sure that the danger to the public ends with his arrest,” Pennsylvania State Police Commissioner Frank Noonan said Thursday. Posted: 9/19/14 at 9:07 AM under News Story.